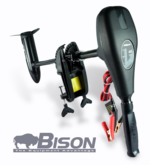 This product is designed for our Bison marine inflatable boats, but it is a relatively close fit for some other boat models, after some modifications and adjustments. 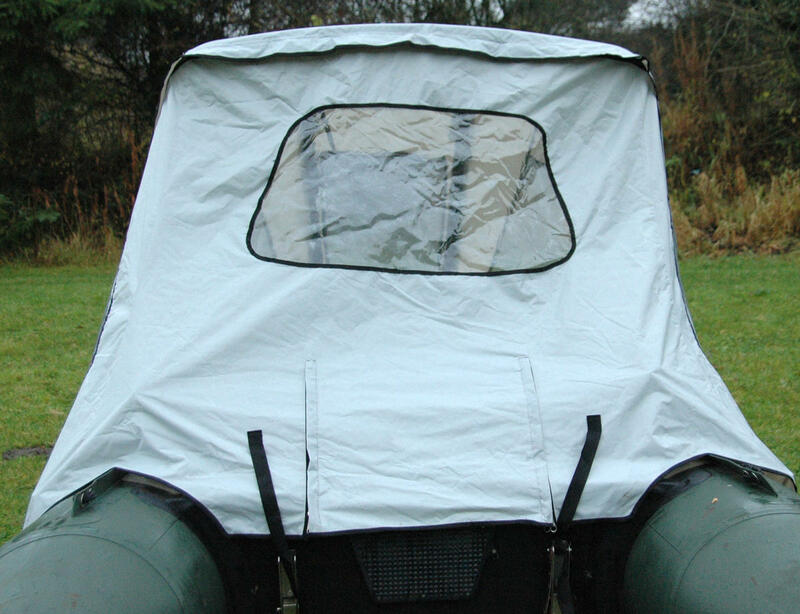 Protects from Sun, rain and bad weather. 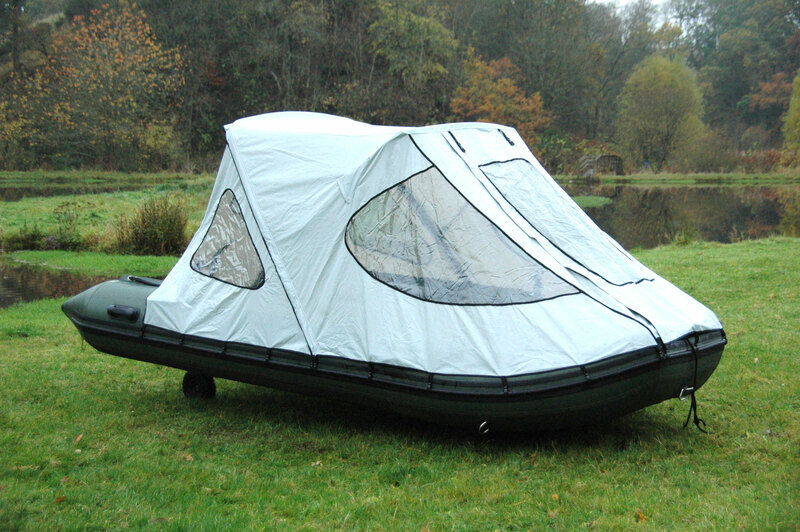 Boat can be used as a dome tent for overnight trips. 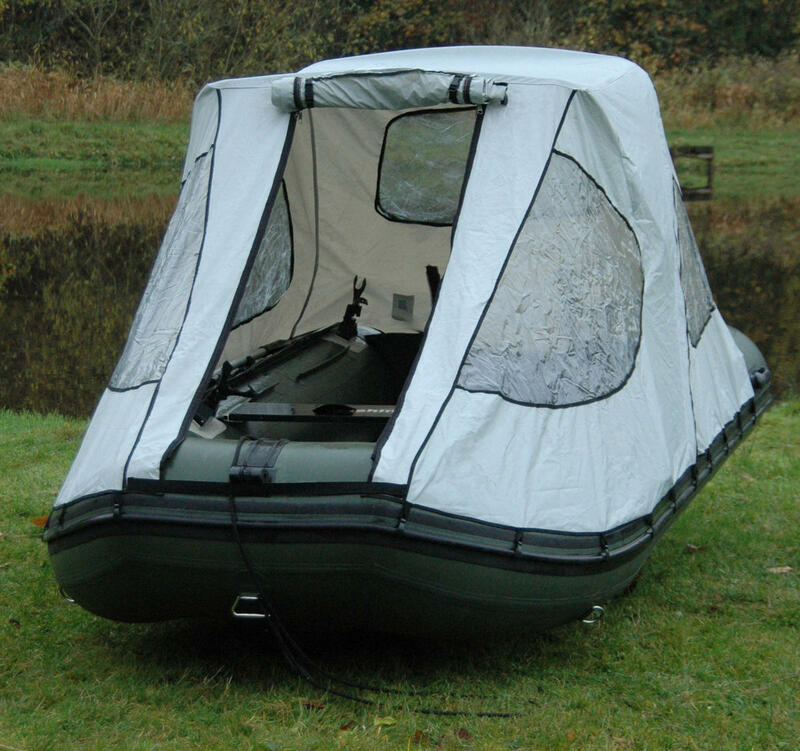 Waterproof reinforced canopy top made of 600 denier PVC coated polyester fabric. 22mm diameter anodized aluminum frame with stainless steel screws. 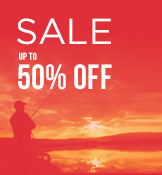 Make your boat look really cool and unique. 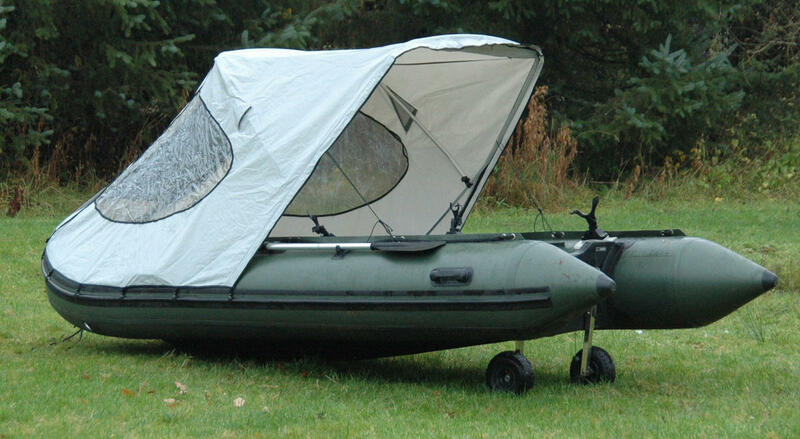 Can be used while riding boat. 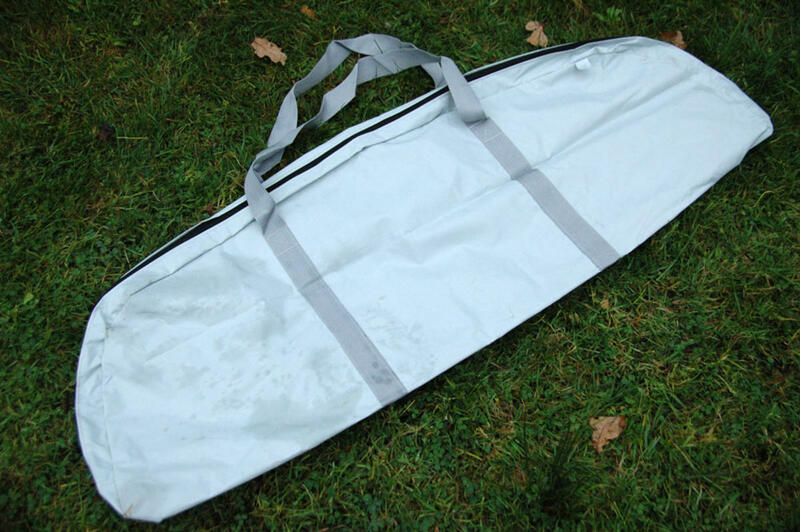 Front is not completely removable from tent, but sides can be opened up with zippers in front and folded sideways. 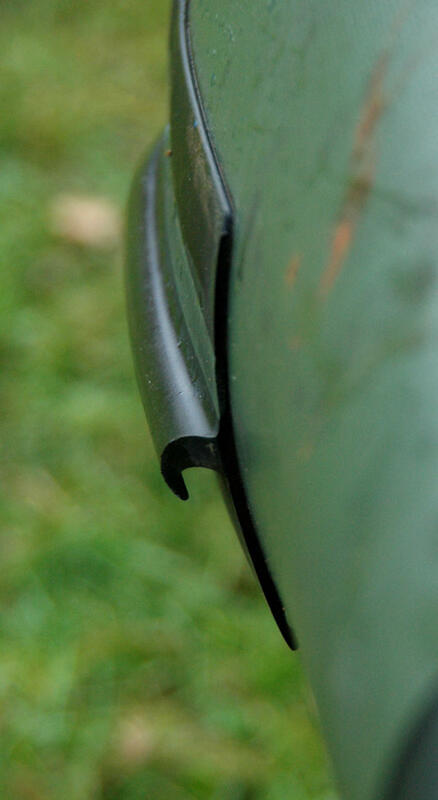 Front also can be rolled up upward and secured to the top. 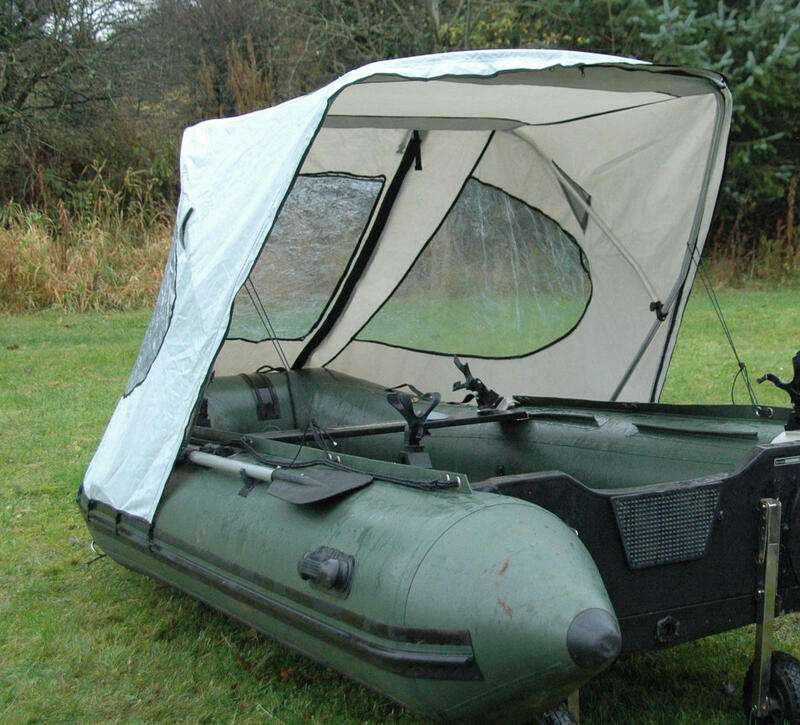 Tent sides are secured to an inflatable boat rub strake lip with plastic hooks on rubber strings. 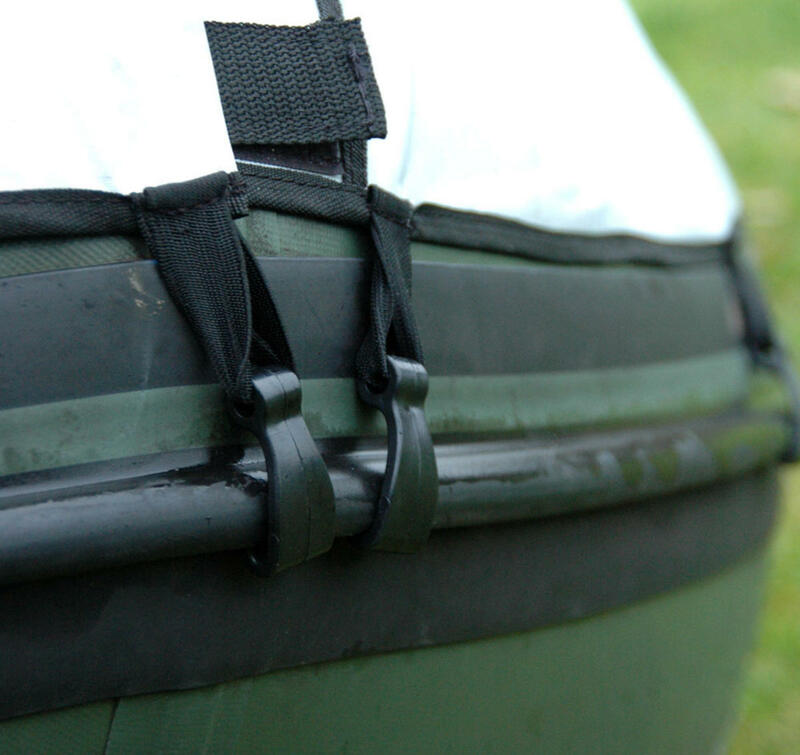 If fitting to other makes of boats this lip may not be available on a boat strike, then small D-rings or quarter-size round PVC patches, with middle cut outs to let hook to grab to it, need to be glued to the boat sides. 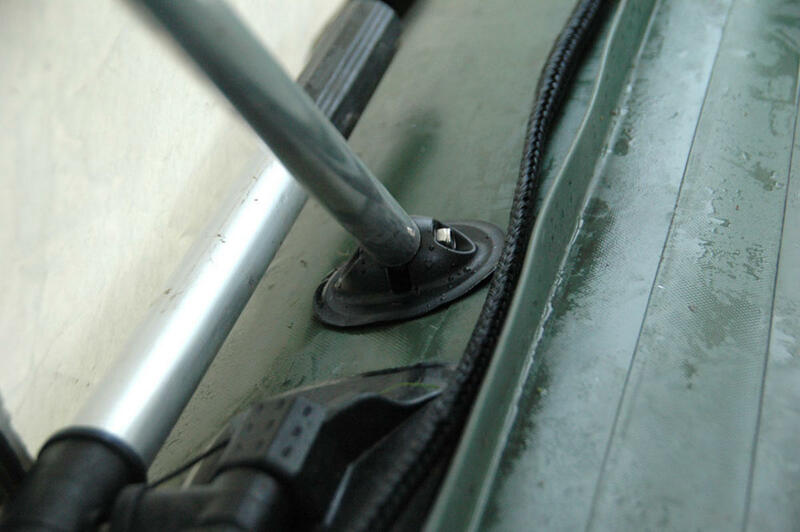 Plastic mounting jaw to secure bimini main poles are provided. 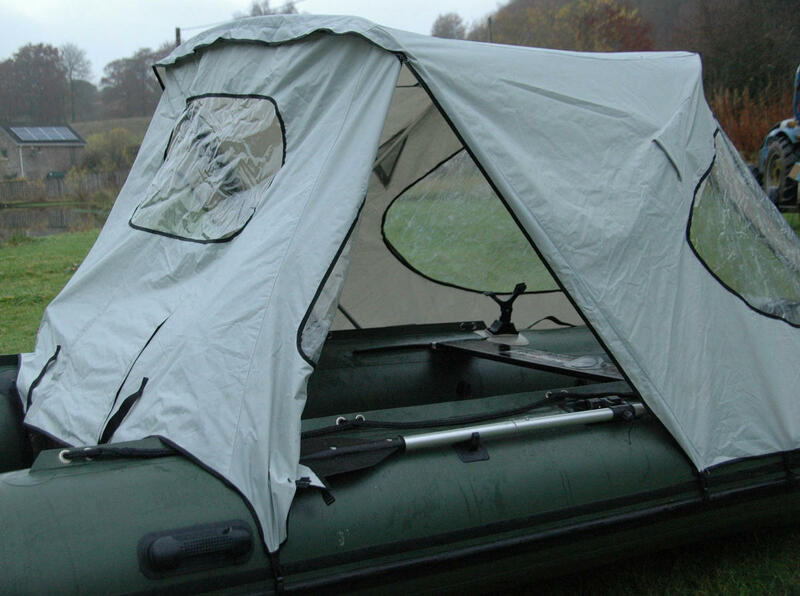 To assemble this bimini tent top start by sliding top bended aluminum C-poles through sleeves on both sides of the fabric top. Then side V-poles can be attached to the previously assembled top portion and affixed with the pushpins located within the tubes. 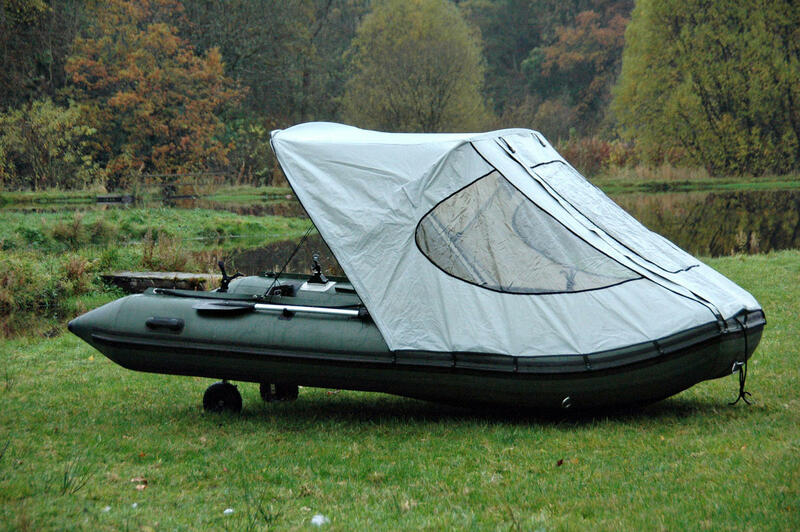 Once complete, rotate the whole bimini structure as only then poles can be mounted to the boat tubes. It is important to properly select placement location of main support poles in a such way that plastic hooks reach to strike lips on all sides at approximately equal distances, and top surface of the bimini is also horizontal.